Diploma in Japanese Language (1996), Faculty of Education in International Language, Hiroshima University, Japan. Ph.D. (Microbial Ecology and Eco-toxicology), Integrated Collage of Agriculture, Department of Life Environmental Conservation Science, Ehime University, Japan. 2005: Institute of Health and Safety Research (IHSR), Tsukuba, Japan. Awards for Green Jobs- World Environmental Day (5th June 2009). Awarded by the Ministry of environment and Natural Resources. Center for Global Environmental Studies (CGES) Award 2010, Japan. Guest Researcher Post-Doctoral Award- 2004. National Institute of Animal Health, Japan. Japanese Government (MONBUSHO) Scholarship (Research student Award-1995-1997). Japanese Government (MONBUSHO) Scholarship (Ph.D scholarship Award-1998-2001). Co-chair (2015 to date) – Research council, University of Sri Jayewardenepura. Deputy Proctor (2010 to 2016) – University of Sri Jayewardenepura. Professor in Zoology (2009 to date)- Department of Zoology, University of Sri Jayewardenepura. Senior lecturer Grade 1 (2007 to date)- Department of Zoology, University of Sri Jayewardenepura. Senior lecturer Grade II (2001 to 2007)- Department of Zoology, University of Sri Jayewardenepura. Probationary lecturer (1992-2001) – Department of Zoology, University of Sri Jayewardenepura. Screening of pathogenic bacteria in surface and ground water, Detection of antibiotic contaminations in environmental samples, resistance and resistance mechanisms of antibiotics, Removal of textile dyes using bacteria and aquatic plants, Extraction of antifungal and antibacterial active compounds from freshwater and soil cyanobacteria, Effect of cyanotoxins on human Chronic Renal Disease, Cytotoxic and cellular level effect of xenobiotic chemicals, Detection and removal of Geosmin and MIB in drinking water by native bacteria, Imposex development in aquatic invertebrates by xenobiotic. Pathmalal M. Manage, Zen`ichiro Kawabata & Shin-ichi Nakano (2000) Algicidal effect of the bacterium Alcaigenes denitrificans on Microcystis spp. Aquat Microb Ecol 22: 111-117. Pathmalal M. Manage, Zen`ichiro Kawabata & Shin-ichi Nakano (2001) Dynamics of cyanophages-like particles and algicidal bacteria causing Microcytis aeruginosa mortality. Limnology 2: 73-78. Pathmalal M. Manage and Swarna Piyasiri (1995) The chlorophyll-a content, species composition and population structure of phytoplankton in Randenigala reservoir in Sri Lanka. Vidyodaya Journal of Sci., 5: 29-41. Shin-ichi Nakano, Nobuyoshi Ishii, Pathmalal M. Manage, Zen`ichiro Kawabata (1998) Trophic roles of heterotrophic nanoflagellates and cilitaes among planktonic organisms in a hypereutrophic pond. Aquat Microb Ecol 16: 153-161. Zen`ichiro Kawabata, Man-gi min, Nobuyoshi Ishii, Renkichi Takata, Kensuke Furukawa, Akira Oshima, Masaya Ueki, Pathmalal M. Manage, Shin-ichi Nakano (1998). Evaluation of the Effects of Biological Perturbations on an Ecosystem Using Aquatic Microcosms. Comparative Evaluation of Environmental Toxicants- Health effects of Environmental Toxicants Derived from Advanced Technologies, National Institute of Radiobiological Sciences, Japan (1998) 109-114. M. Pathmalal & Swarna Piyasiri (1999) Composition, distribution and density of Zooplankton in Randenigala reservoir, Sri Lanka. Vidyodaya J. of Sci, 8: 207-216. Pathmalal M Manage, Zen`ichiro Kawabata & Shin-ichi Nakano (1999). Seasonal changes in densities of cyanophage infectious to Microcytis aeruginosa in a hypereutrophic pond. Hydrobiologia 411: 211-216. Shin-ichi Nakano, Pathmalal M Manage, Yuichiro Nishibe, & Zen`ichiro Kawabata (2001). Trophic linkage among heterotrophic nanoflagellates, ciliates and metazoan zooplankton in a hypereutrophic pond. Aquat Microb Ecol 25: 259-270. Zen`ichiro Kawabata, Pathmalal M Manage, Yasuyuki Miyai, Makoto Hisamoto & Masahiro Miyai (2002) Cavitation control as mean of deducing algal biomass in pond waters. Water Treatment Biology Vol. 38. No. 4, 203-210. Pathmalal M Manage, Zen`ichiro Kawabata & Shin-ichi Nakano & Yuichiro Nishibe (2002). Effect of hetertrophic nanflagellates on the loss of virus-like particles in pond water. Ecological Research 17, 473-479. Kawabata, Z. i., Manage, P. M., Miyai, Y., Hisamoto, M. and M. MIYAI (2002). “キャビテーションによる池の藻類の抑制.” 日本水処理生物学会誌= Journal [of] Japan Biological Society of Water and Waste 38(4): 203-210. Yuichiro Nishibe, Pathmalal M Manage, Zen’ichiro Kawabata & Shin-ichi Nakano (2004). Trophic coupling of testae amoeba and Microcystis species in a hypereutrophic pond. Limnology (2004) 5: 71-76. Keerthi S. Guruge, Sachi Taniyasu, Nobuyoshi Yamashita & Pathmalal M Manage (2007). Occurrence of perfluorinated aids and fluorotelomers waters from Sri Lanka. Marine Pollution Bulletin 54 (2007) 1663-1672. Guruge KS, Taniyasu S, Yamashita N, Manage PM. (2007) Occurrence of fluoroalkyl surfactants in water from Sri Lanka. Organohalogen compounds. 69: 2 796-2799. Pathmalal, M. M. (2007). “Degradation of Microcystins.” Scottish Microbiology Society. Keerthi S. Guruge, Pathmalal M Manage, Noriko Yamanaka , Shigeru Miyazaki, Sachi Taniyasu & Nobuyoshi Yamashita (2008). Species-specific concentrations of perfluoroalkyl contaminants in farm and pet animal in Japan. Chemosphere 73 (2008-S210-S215). K.S, Taniyasu S., Yamashita N. and Manage P. M. (2008). Fluoroalkyl surfactants in fish and water from Sri Lanka: An estimation of PFOS and PFOA intake via Fish. Persistent Organic Pollutant (POPs) Research in Asia. Vol. 1. 167-172. Pathmalal M Manage, Yasawardna S.G & Wedage W.S, (2009). Hepatotoxic effects of Microcystis aeruginosa (PCC7820) on Wister Rates, Accepted for Golden Jubilee Special Issue of the Vidyodaya Journal. Dissanayake D.M.M.P.& Pathmalal M Manage (2009) Aflatoxin contamination in peanuts commercially available in Sri Lanka. Accepted for Vidyodaya Journal of Science. Vol 14 July 2009, pp 151-159. Waduwawara S and Pathmalal M Manage (2009) Spoilage after cooking of some rice varieties commonly consumed in Sri Lanka. Vidyodaya Journal of Science. Vol 14 July 2009, pp 131-141. S.P.Y.N. Kanthilatha, S.G. Yasawardene, M. M. Pathmalal, G. Adikarie (2008) Composition of stature of Bellan-bandi palassa man with historic, Vadda and present population. journal of the royal asiatic society of Sri Lanka. Vol. 54. pp 43-52. Pathmalal M. Manage (2009). Seasonal changes in the abundance of biological agents killing Microcystis aeruginosa in a hypereutrophic pond. Vidyodaya Journal of Science. Pathmalal M. Manage, Chritine Edwards, Brajesh K. Singh and Linda A. Lawton (2009). Isolation and identification novel microcystin degrading bacteria. Applied Enviromental Microbiology AEM. 01928-09. Dilini Prayomi Hapuarachchi, Niranjanie Ratnayake, J.M.A. Manatunge & Pathmalal M. Manage (2009). Improvements of the performance of unit operations of water treatment plants where irrigation tanks are used as the source. International symposium of exchange on sustainable development of Asia. Faculty of Engineering, Ruhinu University, Sri Lanka. Manage, P., C. Edwards and L. Lawton (2010). “Bacterial degradation of microcystin.” Interdisciplinary Studies on Environmental Chemistry-Biological Responses to Contaminants. TERRAPUB: Tokyo: 97-104. Pathmalal M. M (2007) Degradation of Microcystins. Scottish Microbiology Society, SMS Symposium University of Abertay, Dundee. Pathmalal M. Manage and S N Premetilake (2011) Occurrence of heterotrophic bacteria causing lysis of aeruginosa in Beira Lake, Sri Lanka. Vidyodaya Journal of Science, 16: 31-56. Lawton, L., A. Welgamage, Manage, P.M. and C. Edwards (2011). “Novel bacterial strains for the removal of microcystins from drinking water.” Water Science & Technology 63(6): 1137-1142. Idroos, F.S. and P.M.Manage (2012) Aquatic Life Health Quality Assessment of the Bolgoda Canal and Waga Stream with respect to Selected Physico-chemical Parameters and Bioindicators. Journal of Tropical Forestry and Environment Vol. 2, No. 01 (2012)13-26. Hettiarachchi, I.U., Sethunge, S., Manage, P.M. (2016) Nuisance Algae and Cyanobacteria in Some Selected Water Bodies in Sri Lanka, International Journal of Biological Sciences and Engineering (IJBE), India ( In press). Idroos, F.S., Hettiarachchi, I.U., Manage, P.M. (2014) Optimization of a standard Method for enumeration of total cell counts of colonial Microcystis aeroginosa in environmental samples from Boralasgamuwa lake, Vidyodaya Journal , Vol 18: 45-54. Idroos, F.S., Manage, P.M. (2014). Evaluation of antibiotic degrdation feasibility of Bacillus cereus and Rahnella aquatilisstrains , Journal of Environment and Natural Resources, Thailand. 188-193. Indika Upuli Hettiarachchi and Pathmalal M. Manage (2014) Cyanobacterial cell density & intracellular Microcystin-LR levels in drinking/ irrigation reservoirs in Anuradhapura, Sri Lanka, Journal of Environment and Natural Resources, Thailand.. pp.210-214. Mahagamage, M. G. Y. L., S. D. M. Chinthaka and M. Manage (2014). “Multivariate analysis of physico-chemical and microbial parameters of surface water in Kelani river basin.” International Journal in Multidisciplinary Studies (IJMS) 1: 55-61. Mahagamage, M. G. Y. L. and P. M. Manage (2014). “Water Quality Index (CCME-WQI) Based Assessment Study Of Water Quality In Kelani River Basin, Sri Lanka.”International Journal of Environment and natural resources 1: 199-204. Kanthilatha, W., S. Yasawardene, G. Adikarie, W. E. Boyd and M. Pathmalal (2012). “Re-visiting the bellan-bandi palassa human remians of the mesolithic period, Sri Lanka.” Man and Environment 37(2): 7. Takeshi Ohura , Hiroyuki Sakakibara , Izumi Watanabe, Won Joon Shim, Pathmalal M. Manage, Keerth S. Guruge (2015) Spatial and vertical distributions of sedimentary halogenated polycyclic aromatic hydrocarbons in moderately polluted areas of Asia. Environmental Pollution 196 (2015) 331-340. Liyanage. G.Y. and Manage. P.M. (2014) Quantification of Oxytetracycline and Amphicillin in two waste water discharging points in Colombo, Sri Lanka, Journal of Environemnt and Natural Resources, Thailand.pp 193-198. Takeshi Ohura , Hiroyuki Sakakibara , Izumi Watanabe, Won Joon Shim, P.M., Keerth S. Guruge (2015) Spatial and vertical distributions of sedimentary halogenated polycyclic aromatic hydrocarbons in moderately polluted areas of Asia. Environmental Pollution 196 (2015) 331-340. A. S. A Rathnasri and Manage. P.M.(2015) Evaluation of groundwater quality in five grama divisions of Maharagama urban area using Groundwater Quality Index (WQI) Accepted for publication- International Journal in Multidisciplinary Studies (IJMS). G.Y. and Manage. P.M. (2015) Optimisation of Environmental Factors on Oil Degrading Bacteria Isolated from Coastal Water and Sediments in Sri Lanka. Journal of Tropical Forestry and Environment, 13-25. G.Y. and Manage. P.M. (2015) Presence of Tetracycline and Oxytetracycline Resistant Bacteria and Resistant Genes in Effluent Water of Zoological Garden, Sri Lanka. Proceeding of 11th International Academic Conference on Development in Science and Technology (IACDST-2015). 11-14. A. P. C. Piyathilaka, Manage. P.M. and K. H. Tennekoon. (2016). Comparative cytotoxicity of selected cyanotoxins on Human Embryonic Kidney (HEK-293) and Human Kidney Adenocarcinoma (ACHN) cells. Journal of ISOI. 2(1), 234-238. Yasodara Liyanage and Manage. P.M. (2016) Evaluation of Amoxicillin and Sulfonamide removal by Bacillus cereus, Enterobacter ludwigii and Enterobacter sp. Journal of Environment and Natural Resources. 14(1). 39-43. Ganegoda, G.S.S., P.M. and Pathirage, S. (2016) Evaluation of ell water quality with special emphasis on Principal Component Analysis (PCA) at Maharagama, Sri Lanka, Accepted for International Journal of Eco technology Research, Japan. Yasodara Liyanage and Manage. P.M.(2016) Occurrence, fate and ecological risk of antibiotics in hospital effluent water and sediments inSri Lanka, International Journal of Agriculture and Environmental Research, 4. 909-935. Idroos, F.S., G.D.N.K. De Silva ., Manage, P.M.(2017) Removal of Microcystin analogues by Stenotrophomonas maltophilia, J.National Science Foundation, 45(2): 91-99. Liyanage. G.Y. and Manage. P.M. (2017) Risk of prophylactic antibiotics in livestock and poultry farms; a growing problem for human and animal health. Pharmaceutical Journal of Sri Lanka. Vol 7 (1). 13-22. Ekanayake, E.M.M.S and Manage, P.M. (2017). Phytoremediation of textile dye (CI Direct Blue 201) by aquatic plants International Journal of Multidisciplinary Studies, Vol- 04, Issue 01 Pp. 49-58 . Madushanka, D.A.T. and Manage, P.M. (2017). Potential utilization of Microcystis bloom for biodiesel production. (In Press). Liyanage. G.Y. and Manage. P.M. (2017) Occurrence and distribution of tetracycline resistance determinants and their pollution profile in the aquaculture environment in Sri Lanka (Under review). Liyanage. G.Y. and Manage. P.M. (2017) Degradation of Ciprofloxacin (CIP) by bacteria isolated from effluent water and identification of degradation pathways (Under review). Dharmadasa, P.S., Liyanage. G.Y. and Manage. P.M. (2017) Bioremediation of MC-LR and selected antibiotics using native bacteria (Under review). Idroos, F.S.,B.G.D.N.K. De Silva. and Manage, P.M.( 2017) Biodegradation of Microcystins by Bacillus cereus and Rahnella aquatilis isolated from freshwater bodies (Under review). Mahagamage, M.G.Y.L. and Manage. P.M. (2017) Socio-economical background of the Kelani river basin, Sri Lanka (Under review). Mahagamage MGYL, Pavithrani S Manage and Manage. P.M. (2017) Water quality and microbial contamination status of groundwater in Jaffna peninsula, Sri Lanka (Under review). Pathmalal M, Manage, Zen`Ichiro Kawabata, Shin-Ichi Nakano and Nobuyoshi Ishii (1998). Relationship between dynamics of Microcystis aeruginosa and cyanophages in a hypereutrophic pond. The 63th Annual Session of the Japanese Society of Limnology, Matsumoto, September 20-23, Abstract Book p. 129. Shin-Ichi Nakano, Nobuyoshi Ishii, M. Pathmalal , Zen`Ichiro Kawabata (1998). The role of heterotrophic nanoflagellates and ciliates in a food web of a hypereutrophic lake. The 63th Annual Session of the Japanese Society of Limnology, Matsumoto, September 20-23, Abstract Book p. 102. Pathmalal M. Manage, Zen`ichiro Kawabata, Shin-ichi Nakano & Yuichiro Nishibe (1999). An intensive monitoring of the abundance of algicidal bacteria and cyanophages during the senescence of Microcystis aeruginosa bloom cyanophage in a hypereutrophic pond. The 64th annual meeting of Japanese Society of Limnology, October 9-11, Hikone, Shiga, Japan. Nishibe, Y., S. Nakano, M. Manage, and Zen`ichiro Kawabata (1999) Dynamics of Microcystis-grazing biological community during the senescence of Microcystis blooms in a hypereutrophic pond. The 64th annual meeting of the Japanese Society of Limnology, Hikone, October 9-11, Abstract Book p. 26. Pathmalal M. Manage, Zen`ichiro Kawabata, Shin-ichi Nakano & Yuichiro Nishibe (2000) Isolation and properties of the bacterium Alcaligenes denitrificans inhibiting the growth of Microcystis spp. The 65th annual meeting of the Japanese Society of Limnology, Fukuoka, September 15-17, Abstract Book p. 70. Nishibe, Y., S. Nakano, Pathmalal M. Manage and Z. Kawabata (2001) Seasonal changes in abundance of Microcystis grazing protists and their feeding habits in a hypertrophic pond. The 65th annual meeting of the Japanese Society of Limnology, Fukuoka, September 15-17, Abstract Book p. 66. Nishii, K, S. Nakano, Pathmalal M. Manage and Kawabata (2000) Seasonal changes in the characteristics of hypereutrophic lake in view of microbial decomposition of dissolved organic matter. The 65th annual meeting of the Japanese Society of Limnology, Fukuoka, September 15-17, Abstract Book p. 151. Nakano, Y Nishibe, P. Manage, M. Yokosawa, Z. Kawabata (2000) Trophic interaction between Planktonic protisits and metazoan zooplankton in a hypereutrophic pond. The 15th annual meeting of Microbial Ecology, Hiroshima, November, Abstract Book p. 283. Yuichiro Nishibe, Shin-ichi Nakano, Pathmalal M. Manage & Zen`ichiro Kawabata (2000) Seasonal changes in abundance of Microcystis-grazing protistis and their feeding properties in a hypereutrophic pond. Procceding of the 10th International Symposium on River and Lake Environments- ISRLE, 2-4 Nov., Pusan, Korea. Nishibe, Y., M. Manage and Nakano, S. (2001) Seasonal dynamics and feeding ecology of Microcystis-grazing protists. The 66th annual meeting of the Japanese Society of Limnology, Fukuoka, September 15-17, Abstract Book p. 70. Pathmalal M. Manage, Keerthi S. Guruge, Sachi Taniyasu & Nobuyoshi Yamashita, Sirimal P. Galabada Arachchige, (2005). Accumulation of perfluorooctanesulfonate and related fluorochemicals in fishes from Sri Lanka 25th International Symposium on Halogenated Environmental Organic Pollutants and POPs. DIOXIN 2005, ISPAC 20, Tornto, Canada. P 1300-1301. Keerthi S. Guruge, Pathmalal M. Manage, Shigeru Miyazaki, Noriko Yamanaka, Sachi Taniyasu & Nobuyoshi Yamashita (2005). Species-specific Accumulation of perfluoroalkyl contaminants in Farm and Pet Animal Blood and Liver Collected from Various regions in Japan. 25th International Symposium on Halogenated Environmental Organic Pollutants and POPs. DIOXIN 2005 ISPAC 20, Toronto, Canada. P 1643-1646. GURUGE KEERTHI S. and Pathmalal M. Manage (2006) Gene and biochemical response in PFOA treated rats, International Conference on Environmental Chemistry. Program and Abstracts, 15th;NO. ;PAGE.466-467 (2006). M Manage, J. A. Liyanage and A. Welgama (2007). Heavy metal contamination in well water around a dumping site at Navinna – Maharagama. The 12th International Symposium of Forestry and Environment, Sri Lanka. 30th Nov. to 1st. Decmber. 408. P. 42-43. Pathmalal M. Manage, Christine Edwards and Linda A. Lawton (2007). Harnessing microbes in bioremediation of cyanotoxins. Society for General Microbiology, 161st International Meeting, University of Edinburgh, UK. Pathmalal M. Manage, Chritine Edwards, and Linda A Lawton (2008). Novel Microcystin-LR Degrading Bacteria Isolated from Diverse Surface Freshwaters. Interdisciplinary symposium on Environmental Sciences Organized by Global COE program in Ehime University. Nov 11-13, 2008. Linda A Lawton, Christine Edwards, Aakash Welgama, Pathmalal M. Mange and Douglas Gaham (2008). Evaluation and exploitation of Microbes in the Elimiation of Cyanotoxins from water. AWWA Water Quality Technology, “The Genius of water”. Duke Energy Center Cincinnati, Ohio, USA. Nov. 16-20, 2008. Pathmalal M. Manage and Igalawithana S. D. (2008). Control of Microcystis aeruginosa by heterotrophic flagellate (Polytomella sp.) Dec. 27-28, International Symposium of Forestry and Environment Sciences, Kalutara, Sri Lanka. Pathmalal M. Manage (2008) Rapid detection of Microcystin in the field. Dec. 27- 28, International Symposium of Forestry and Environment Sciences, Kalutara, Sri Lanka. Pathmalal M. Manage & Zen`ichiro Kawabata (2008) Suppression of algal biomass by cavitations treatment. Dec. 27-28, International Symposium of Forestry and Environment Sciences, Kalutara, Sri Lanka. Pathmalal M. Manage and Linda A Lawton (2009). Isolation and identification of novel microcystin degrading actinobacteria from surface waters. Invitation for Interdisciplinary symposium: Biological response to chemical contaminants: from molecular to community level. Department of Biology, Aveiro University, Portugal, (2- 4 June, 2009). M. Pathmalal, Swarna Piyasiri (1993) Chlorophyll-a density, species composition and population structure of phytoplankton in Randenigala reservoir. 49th Annual Session of Sri Lanka Association for the Advancement of the Science. December, pp 155-156. M. Pathmalal, Swarna Piyasiri (1994) Species composition and population dynamics of zooplankton in Randenigala reservoir. Golden Jubilee Session of Sri Lanka Association for the Advancement of Science. December, pp 171. M. Pathmalal and D.M.M.P. Dissanayaka (2004). Studies on the incidence of Aflatoxin in commercially available peanuts. The 60th Annual Meeting of Sri Lanka Association for the Advancement of the Science. 17-22 Dec. Colombo.P190. S. Wedage and P. M Manage (2005). Hepatotoxic effect of Microcystis aeruginosa (PCCC 7820) on Wister rats The 25th Annual Sessions of Institute of Biology, Sri Lanka. September. 2005. P. 49. Shilpa Waduwawara and Pathmalal M. Manage (2005). Spoilage of rice and effect of some botanicals on spoilage bacteria associated with some cooked rice varieties consumed in Sri Lanka. The 61th Annual Meeting of Sri Lanka for the Advancement of the Science. 12-17 Dec. 2005. 417/D. Weerasinghe L. A. S. and Pathmalal M. Manage (2005). Determination of the lead and Cadmium concentrations in some selected leafy vegetables. The 61th Annual Meeting of Sri Lanka Association for the Advancement of the Science. 12-17 Dec. 2005. 403/D, P41. M. Pathmalal and M.M.S.N Premathilaka (2006). Preliminary investigations on the seasonal dynamics of algicidal bacteria and protozoa on regulation of Microcystis aeruginosa. The 62nd Annual Meeting of Sri Lanka Association for the Advancement of the Science. Dec. 10-15. Sri Lanka. P. 191. 233/D. Pathmalal M. Manage and Samiddhi D. Wijethilaka (2006). Accumulation pattern of some selected heavy metals in some edible fish species from Bolgoda lagoon. The 62nd Annual Meeting of Sri Lanka Association for the Advancement of the Science. Dec. 10-15. Sri Lanka. P. 83. 425/D. M.S.N. Premathilaka, M.M. Pathmalal and W.S Wedage (2006). Occurrence of heterotrohic bacteria causing lysis of Microcytis aeruginosa in Beire lake. Sri Laka. The 26th Annual Session of the Institute of Biology, Sri Lanka. Sep. 29. Sri Lanka. 20. P. 36. C.D. Welgama and M.M. Pathmalal (2007). A microbiological study of some well water quality parameters with reference to the garbage dumping site at Navinna area. The 63 Annual Meeting of Sri Lanka Association for the Advancement of the Science, Sri Lanka. 3-8, December. 409/D pp. 64-65. D. Igalawithana and M.M. Pathmalal (2007). Degradation of cyanobacterium Microcystis aeruginosa by predacious protozoa. The 63 Annual Meeting of Sri Lanka Association for the Advancement of the Science, Sri Lanka. 3-8, December. 411/D pp. 66. S.P.Y.N. Kanthilatha, S.G. Yasawardene, M. M. Pathmalal and Gamini Adikari (2007) Reconstruction of stature from fragmented skeletal remains of a prehistoric population in Bellan-bandi Palassa in Sabaragamuwa Province. The 63 Annual Meeting of Sri Lanka Association for the Advancement of the Science, Sri Lanka. 3-8, December. 429/D pp. 79. Pathmalal M. Manage and Linda A. Lawton (2008) Bioremedation of Microcystin in diverse waters. National Anuual Scientific Session on Ecological Medicine, Oct. 25th, University of Colombo. Manage, P. M. (2008). Rapid detection of Microcystin in the field. International Symposium of Forestry and Environment Sciences, Kalutara, Sri Lanka. Kanthilatha WSPYN, Yasawardene SG, Pathmalal M.M. and Adikari G (2008) Comparison of stature of Bellan-bandi Palassa Man with historic, vadda and present population. 2nd Research Conference, Royal Asiatic Society of Sri Lanka. March 28th 29th Colombo. Kanthilatha WSPYN, Yasawardene SG, Pathmalal M.M. and †Adikari G (2008) Balangoda man: Reconstruction from fossils of Bellan-bandi Palassa, a Mesolithic heritage site in Sri Lanka. International Conference of Social Sciences, Sri Lanka (ICSSL). July 18th 20th University of Kelaniya, Sri Lanka. Pathmalal M. Manage and Chritine Edwards (2008) A cost effective and rapid method to analyze biodegradation of microcystins in natural waters. National Anuual Scientific Session on Ecological Medicine, Oct. 25th, University of Colombo. S.P.Y.N. Kanthilatha, S.G. Yasawardene, M. M. Pathmalal and Gamini Adikari (2008) Reanalysis of the minimum number of individual at Bellan-bandi palassa prehistoric site using skeletal remains, The 64 Annual Session of Sri Lanka Association for the Advancement of the Science, Sri Lanka1-6 December. 445/D pp.117. M.S.N. Premathilaka, M.M. Pathmalal and S D Igalawithana, (2008). Microial control of Microcystis aeruginosa bloom in a hyperutrophic lake, The 64th Annual Session of Sri Lanka Association for the Advancement of the Science, Sri Lanka 20. P. 36. Igalawithana S and Pathmalal M. Manage (2008). Changes in microbial loop components during the formation and decay of M. aeruginosa bloom. The 64 Annual Meeting of Sri Lanka Association for the Advancement of the Science, Sri Lanka. 1-6 December. Pathmalal M. Manage (2009). Role of Biological agents on regulation of Microcystis aeruginosa in a hyphaeutrophic pond. First National Symposium on Natural Resource Management, Sabaragamuwa University Sri Lanka. 29-30 August, 2009. Pathmalal M. Manage and Saranga Nethmi (2009). Bacteria for green Solution; Killing of Microcystis aeruginosa by the bacterium Alcaligenes xyosoxydanes isolated from Beire Lake. First National Symposium on Natural Resource Management, Sabaragamuwa University Sri Lanka. 29-30 August, 2009. Senalie Sethunga and Pathmalal M. Manage (2009) Killing of Microcystis aeruginosa by the Predacious protozoa. First National Symposium on Natural Resource Management, Sabaragamuwa University Sri Lanka. 29-30 August, 2009. Pathmalal M. Manage & Linda A Lawton (2009). Biology MT2 plate as a tool to screen activity of indigenous microflora for bioremediation of algal toxins. The 29th Annual Sessions of Institute of Biology, Sri Lanka. September. 26 September 2009. Pathmalal M Manage & Jayalal Wijesinghe (2009). Heavy metal contamination levels in the Kelani river. The 29th Annual Sessions of Institute of Biology, Sri Lanka. 26 September 2009. Welgamage, A., E., Edwards, C. and Lawton, L. A and Pathmalal M. Manage (2010) Novel bacteria to remove cyanotoxins from drinking water. 8th International Conference on Toxic Cyanobacteria. 2nd-9th September 2010. Istanbul, Turkey. Lawton, L.A., Edwards, C., Welgamage, A., Manage, P. M. and Graham, D. (2008) Evaluation and Exploitation of Microbes in the Elimination of Cyanotoxins From Water. AWWA Water Quality Technology Conference. 18th November 2008. Cincinnati, USA. Lawton, L.A., Edwards, C., Welgamage, A., Manage, P. M. and Graham, D. (2008) Evaluation and Exploitation of Microbes in the Elimination of Cyanotoxins from Water. USEPA one-day symposium.19th November 2008. Cincinnati, USA. Hapuarachchi, D. P., N. Ratnayake, J. M. A. Manatunge and M. Manage (2009). Improving the performance of unit operations of water treatment plants where irrigation tanks are used as the source. International symposium of exchange on sustainable development of Asia. Welgamage, A., Manage, P. M., Christine, E. and Lawton, L. A. (2009) Putting microbes to work: Bioremedial microcystin removal strategies for water purification. Society for general Microbiology, autumn meeting. 7th-12th September 2009. Edinburgh, UK. A., Manage, P. M., Christine, E. and Lawton, l. A. (2008) Harnessing novel microbial strains for bioremediation of cyanotoxins. Research student symposium. Robert Gordon University. 10th October 2008. Aberdeen, UK. Welgamage, A., Manage, P. M., Christine, E. and Lawton, L. A. (2008) Novel Microbial strains for bioremediation of microcystins and nodularin. Proceedings of Scottish microbiological society.7th August 2008. University of Glasgow, Scotland. Rathnasiri S. and Pathmalal M Manage (2012). Evaluation of water quality in five grama division (GD) in Maharagma urban using Water Quality Index. (2012) Proceeding of 17th International symposium in environmental sciences, University of Sri Jayewardenepura. Manage, P.M. and Idroos,F.S (2012) Contamination status of Microcystin-LR and their destruction by microbes, proceedings of the centre for Environmental Justice,Volume 1. Piyathilaka, M. A. P. C. and M. Pathmalal (2012). Global occurance of toxigenic cyanobacteria, their environmental and health effects. Proceedings of the centre for Environmental Justice. Sethunge, S., Manage and S. Jayasinghe (2012). Microstrainer for removal of algae in drinking water treatment. Proceedings of International Forestry and Environment Symposium. Thilakarathne, L., Manage and J. Liyanage (2012). Bioremediation of carbofuran by isolated bacteria from soil. Proceedings of International Forestry and Environment Symposium. Mahagamage M.G.Y.L.,Chinthaka S.D.M. and Manage P.M. (2013) Chemical and microbial contamination status of ground water quality in Kelani river basin. Proceedings of the eighteenth international forestry and environment symposium (2013). pp 212. Piyathilaka, P. and Manage (2013). Evaluation of the Impact of Natural Microcystin-LR Extract on Brine Shrimp as an Invertebrate Bioassay Model. Proceedings of International Forestry and Environment Symposium. Indika Upuli Hettiarachchi, Senalie Sethunga, and Pathmalal M Manage (2013) Challenges ahead-water quality and human health 2nd International Symposium. March 2013. Post Graduate Institute of Science, University of Peradeniya. Sethunge, S. and M. Manage (2013). “Nuisance algae in water supply projects in Sri Lanka.” International Conference on Sustainable Built Environment (ICSBE-2010). Hettiarachchi, I.U. and Manage, P.M. (2013) Contamination Status of Algae Toxins Microcystins in Some Selected Water Bodies in Sri Lanka Recent Developments, forestry and environmental symposium, 3:pp 49. Hettiarachchi, I. U. and M. Manage. (2014). Cyanobacterial cell density & intracellular Microcystin-LR levels in drinking/ irrigation reservoirs in Anuradhapura, Sri Lanka. Proceedings of the 1st Environemnt and natural resources International conference.pp. 42. Hettiarachchi, I.U., Manage, P.M., Jayesiriwardene, S.D (2013) Nuisance Algae and Cyanobacteria in Some Selected Water Bodies in Sri Lanka. challenges ahead-water quality and human health, 2nd International Symposium, PGIS, University of Peradeniya. Idroos, F.S and Manage, P.M.(2012) Aquatic health assessment of Bolgoda canal and Waga stream Sri Lanka, Proceedings of the seventeenth forestry and environmental science symposium, 2:pp 13. Idroos S. F., Welgamage A., Manage P.M., Edwards C. and Lawton L.(2013) Development of an Efficient Extraction Method to Quantify Microcystin–LR from Natural Microcystis Bloom Samples from the Colombo Lake, Sri Lanka, Proceedings of the eighteenth forestry and environmental symposium,3:pp 50. Idroos, F.S., Manage, P.M. (2014). Evaluation of antibiotic degrdation feasibility of Bacillus cereus and Rahnellaaquatilisstrains, Proceedings of the 1stEnvironemnt and natural resources International conference, Thailand , pp-30. P. Manage and B. G. D. N. K. D. Silva (2014). Bacteria as a remediation tool in the removal of hazardous peptides. Proceedings of the 2nd International South asian biodiversity conference. Piyathilaka, P., Manage, P., Tennekoon, K., De Silva, N. and Hettiarachchi, I. (2014) Cytotoxic effects of cyanobacterial extract containing Microcyst in-LR on human embryonic kidney (HEK 293) and human kidney adenocarcinoma (ACHN) cell lines. International Conference on Multidisciplinary Approaches. Piyathilaka, M.A.P.C., Manage, P.M., Tennekoon, K.H. and De Silva, B.G.D.N.K. (2014) Comparative study of the cytotoxic effects of microcistin-LR and crude cyanotoxin extract from Beira Lake cyanobacteria on human embryonic kidney (HEK 293) cell line. 2nd International Conference of Frontiers to Molecular Life Sciences, IBMBB, Sri Lanka. Piyathilaka, M.A.P.C., Manage, P.M., Tennekoon, K.H., De Silva, B.G.D.N.K., Samarakoon, S.R. and Sanmuganathan, S. (2014)Cytotoxicity and apoptotic effects of Microcystin-LR on human embryonic kidney (HEK 293) and human kidney adenocarcinoma (ACHN) cell lines. 19th North American ISSX / 29th JSSX Meeting in San Francisco, CA, USA. Idroos, F.S.,Hettiarachchi, I.U. and Manage, P.M. (2014) Seasonal variation of Microcystin-LR with respect to some physicochemical parameters in the Beira Lake waters, Proceedings of International conference on Multidiciplinary approaches,pp.149. Indika Upuli Hettiarachchi and Pathmalal M. Manage (2014) Detection of cell-bound Microcystin-LR in Hambanthota Reservoirs, Sri Lanka, Journal of Agroecology and Natural Resource Management. Dilrukshi, R. P. M., U. Rathnayake and Manage P. M. (2014). Evaluation of Cocosnucifera, Heveabrasiliensis and Bambusa based Granular Activated Carbon for the removal of Microcystin-LR in water treatment. Proceedings of the 1st Environment and Natural Resources International conference.pg.38. Mahagamage, M. G. Y. L. and Manage P. M. (2014). Water Quality Index (CCME-WQI) Based Assessment Study Of Water Quality In Kelani River Basin. Proceedings of the 1st Environment and Natural Resources International Conference. Y. and Manage. P.M. (2014) Isolation and characterization of oil degrading bacteria from coastal water and sediments, 19th International Forestry and Environment Symposium Proceeding. Pg 129. Y. and Manage. P.M. (2014) Effects of environmental factors on oil degrading bacteria from coastal water and sediments in Sri Lanka, 19th International Forestry and Environment Symposium Proceeding. Pg 130. Y. and Manage. P. .M. (2014) Quantification of Oxytetracycline and Amphicillin in two waste water discharging points in Colombo, Sri Lanka, The 1st Environment and Natural Resources International Conference Proceeding. Pg 30. Mahagamage, M.G.Y.L. and Manage, P.M. (2015) Application of water quality index (CCME-WQI) in assessing water quality for ground water in Kelani river basin, Sri Lanka, 4th International Symposium on “Water quality and Human health; Challenges Ahead Proceeding. Pg.6. Mahagamage, M.G.Y.L. and Manage, P.M. (2015) Assessment of seasonal variation in groundwater quality of Kelani river basin by multivariate analysis, International Conference on Multidisciplinary Approaches Proceeding, Pg. 234. Mahagamage, M.G.Y.L. and P.M. (2015) Mapping spatial distribution of water quality parameters of groundwater in the Kelani river basin in Sri Lanka using GIS Accepted for 11th International Academic Conference on Development in Science and Technology (IACDST-2015). Silva, I.U., Rajapaksha, S.W. and Manage, P.M. (2015) Seasonal variation of water quality status of Menik Ganga,Kataragama, Sri Lanka, 4th International Symposium on “Water quality and Human health; Challenges Ahead Proceeding. Pg.7. Hettiarachchi, I.U. and P.M. (2015) Harmful Microcystin- LR (MC-LR) In relation to cyanobacterial diversity in selected water bodies, Sri Lanka, 11th International Academic Conference on Development in Science and Technology (IACDST-2015). Idroos, S.F., Manage, P.M. and De Silva, B.G.D.N.K. (2015) Optimization of Microcystin-LR degradation rates of isolated freshwater bacterial strains, 4th International Symposium on “Water quality and Human health; Challenges Ahead Proceeding. Pg.36. Idroos, S.F., Manage, P.M. and De Silva, B.G.D.N.K. (2015) Role of Stenotrophomonas maltophilia in the degradation of antibiotics and hydrocarbons. International Conference on Multidisciplinary Approaches Proceeding, Pg. 232. Idroos, S.F. and P.M. (2015) Toxin producing cyanobacteria in Labugama, Kalatuwawa drinking water reservoirs, 20th International Forestry and Environment Symposium Proceeding. Pg 55. Idroos, F.S. P.M., B.G.DN.K.De Silva and Laleen Karunanayake (2015) Development of a laboratory scale sand filter with Microcystin-LR degrading Bacillus cereus, 11th International Academic Conference on Development in Science and Technology (IACDST-2015). Piyathilake, M.A.P.C., Manage, P.M., Tennekoon, K.H. and De Silva, B.G.D.N.K. (2015) Screening of selected drinking water bodies in Sri Lanka for the detection of their potential for production of cyanotoxin, Microcystin using PCR, International Conference on Multidisciplinary Approaches Proceeding, Pg. 212. Piyathilaka, M.A.P.C., Manage, P.M., Tennekoon, K.H. and De Silva, B.G.D.N.K. (2015) Molecular screening of some selected water bodies in Sri Lanka for Microcystin producing genotypes 3rd International Conference of Frontiers to Molecular Life Sciences, IBMBB, Sri Lanka. Piyathilake, M.A.P.C., P.M. Tennekoon, K.H. and De Silva, B.G.D.N.K (2015) Comparative cytotoxicity of selected cyanotoxins on Human Embryonic Kidney (HEK-293) and Human Kidney Adenocarcinoma (ACHN) Cells. 11th International Academic Conference on Development in Science and Technology (IACDST-2015). Ganegoda, G.S.S., Manage, P.M. and Pathirage, S. (2015) Evaluation of well water quality in Maharagama with special emphasis on Principal Component Analysis (PCA), 4th International Symposium on “Water quality and Human health; Challenges Ahead Proceeding. Pg.10. Silva, D.B. and Manage, P.M. (2015) Removal of Microcystin-LR from drinking water using natural rutile sand, 4th International Symposium on “Water quality and Human health; Challenges Ahead Proceeding. Pg.33. Silva, D.B. and P.M. (2015) Removal of carbofuran from drinking water using natural rutile, 20th International Forestry and Environment Symposium Proceeding. Pg 109. Dharmadasa, P.S. and Manage, P.M. (2015) Degradation of Microcystin-LR by native bacteria, 4th International Symposium on “Water quality and Human health; Challenges Ahead Proceeding. Pg.95. Dharmadasa, P.S. and P.M. (2015) Degradation potential of diesel and gasoline by three native bacteria in Sri Lanka, 20th International Forestry and Environment Symposium Proceeding. Pg 52. Manage, P.M. and Liyanage, G.Y. (2015) Role of native bacteria as a bioremediating agent for naphthalene and phenanthrene, 11th International Academic Conference on Development in Science and Technology (IACDST-2015). Manage, P.M. and Liyanage, G.Y. (2015) Isolation of hydrocarbon degrading bacteria from groundwater contaminated with crude oil in Jaffna,Sri Lanka. 4th International Symposium on “Water quality and Human health; Challenges Ahead Proceeding. Pg.35. Liyanage, G.Y., Manage, P.M. and De Alwis, A. (2015) Study on the occurrence of Antibiotic Contaminations in the Aquatic Environment, Sri Lanka. International Conference on Multidisciplinary Approaches Proceeding, Pg. 198. Liyanage, G.Y. and P.M. (2015) Removal of Amoxicillin and Sulfanomide by freshwater bacteria in Sri Lanka, 20th International Forestry and Environment Symposium Proceeding. Pg 52. Liyanage, G.Y. and P.M. (2015) Detection of microbial degradation of natural rubber latex by isolated native bacteria in Sri Lanka, 20th International Forestry and Environment Symposium Proceeding. Pg 37. G.Y. and Manage. P.M. (2015) Presence of Tetracycline and Oxytetracycline Resistant Bacteria and Resistant Genes in Effluent Water of Zoological Garden, Sri Lanka. 11th International Academic Conference on Development in Science and Technology (IACDST-2015). 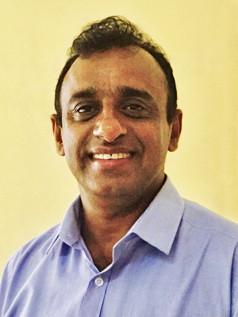 Wijesekara, W.A.M.A. and P.M. (2015) Antibacterial activity of isolated cyanobacteria species Oscillatoria sp., 20th International Forestry and Environment Symposium Proceeding. Pg 52. Piyathilake, M.A.P.C., P.M., Tennekoon, K.H. and De Silva, B.G.D.N.K (2016) Comparative cytotoxicity of selected cyanotoxins on Human Embryonic Kidney (HEK-293) and Human Kidney Adenocarcinoma (ACHN) Cells. Proceeding of WONCA SAR. Sri Lanka. pg 60. P.M. (2016) Microbial control of toxin producing cyanobacterium Microcystis aeruginosa in a hypereutrophic lake. Proceeding of the International Conference on Green Technologies for Sustainable Ecosystems and Trade show. India.pg 74. P.M. and Liyanage. G.Y. (2016) Bacterial remediation of hydrocarbons, antibiotics and cyanotoxins; Green solution for sustainable pollution management. Proceeding of the International Conference on Green Technologies for Sustainable Ecosystems and Trade show. India.pg 36. G.Y.L. Mahagamage, Chinthaka, S.D.M and Manage. P.M. (2016) Assessment of Groundwater Pollution by Heavy Metals in Kelani River Basin, Sri Lanka, Proceeding of the Challenges ahead-water quality and human health- 5th International Symposium. Post Graduate Institute of Science, University of Peradeniya. pg 46. Idroos F.S. and P.M. (2016) Effect of Physico-chemical and Biological parameters on the occurrence of Microcystin-LR and their destruction by Microbes, Proceeding of the Challenges ahead-water quality and human health- 5th International Symposium. Post Graduate Institute of Science, University of Peradeniya. pg 42. Liyanage G.Y. and P.M. (2016). Removal of amoxicillin and ampicillin from aqueous solution by using B.cereus and Granular Activated Carbon (GAC). Proceeding of the Challenges ahead-water quality and human health- 5th International Symposium. Post Graduate Institute of Science, University of Peradeniya. pg 25. W.M.A and Manage. P.M. (2016). In vitro screening of cytotoxicity, antioxidant and anti-inflammatory activities of the fresh water cyanobacterium Oscillatoria sp. Proceeding of the Challenges ahead-water quality and human health. 5th International Symposium – Post Graduate Institute of Science, University of Peradeniya. pg 41. M.S. and Manage. P.M. (2016). Isolation of textile dye decolorizing bacteria from environmental samples. Proceeding of the Challenges ahead-water quality and human health- 5th International Symposium. Post Graduate Institute of Science, University of Peradeniya. pg 25. D.A.T. and Manage. P.M. (2016). Optimizing a solvent system for lipid extraction from cyanobacteria. Proceeding of the Challenges ahead-water quality and human health – 5th International Symposium. Post Graduate Institute of Science, University of Peradeniya. pg 26. Mahagamage, M.G.Y.L., Pathirage, S. and P.M. (2016) Microbiological quality in ground water of the Kelani river basin, Sri Lanka, Proceeding of the 25thAnnual Scientific Session of the Sri Lanka College of Microbiologists.pg 28-29. Piyathilake, M.A.P.C., Pathmalal M Manage., Tennekoon, K.H. and De Silva, B.G.D.N.K (2016). Microcystin-LR contamination status along with some physico-chemical water quality parameters of five selected recreational water bodies in Sri Lanka. Proceeding of 2nd Environment and Natural Resources International Conference. Thailand. pg 24. Idroos, F.S., Pathmalal M Manage. (2016). Removal of Microcystin-LR by cellular extracts of Bacillus cereus. Proceeding of 2nd Environment and Natural Resources International Conference. Thailand. pg 26. Liyanage, G.Y. and Pathmalal M Manage (2016). Risk of prophylactic antibiotics in livestock and poultry farms; a growing problem for human and animal health and for the environment. Proceeding of 2nd Environment and Natural Resources International Conference. Thailand. pg 20. Ekanayake, E.M.M.S and Pathmalal M Manage (2016). Phytoremediation of textile dye (CI Direct Blue 201) by aquatic plants. Proceeding of 2nd Environment and Natural Resources International Conference. Thailand. pg 21. Madushanka, D.A.T. and Pathmalal M Manage (2016). Potential utilization of Microcystis bloom for biodiesel production. Proceeding of 2nd Environment and Natural Resources International Conference. Thailand. pg 25. Liyanage, G.Y. and P.M. (2016) The Role of Hospital Effluent for Occurrence and Distribution of Ecologically Important Antibiotic in Sri Lanka, 21st International Forestry and Environment Symposium Proceeding. Pg 45. Ekanayake, E.M.M.S. and P.M. (2016) Optimization of Isolated Textile Dye (CI Direct Blue 201) Decolorizing Bacteria, 21st International Forestry and Environment Symposium Proceeding. Pg 46. Idroos, F.S. and P.M. (2016) Elucidation of Microcystin-LR Degrading Mechanism of Bacillus cereus, 21st International Forestry and Environment Symposium Proceeding. Pg 90. Mahagamage, M.G.Y.L., Chinthaka, S.D.M. and P.M. (2016) Pesticides Contamination Status of Ground and Surface Water in the Selected Head and Transitional regions of the Kelani River Basin, Sri Lanka, 21st International Forestry and Environment Symposium Proceeding. Pg 114. Wijesekara, W.A.M.A., Wijeyaratne, W.M.D.N. and P.M. (2016) In vitro Study on Bio Removal of Cadmium (Cd2+) by freshwater Cyanobacterium Oscillatoria sp. and its Isotherm, 21st International Forestry and Environment Symposium Proceeding. Pg 52. Piyathilake, M.A.P.C., Tennekoon, K.H., De Silva, B.G.D.N.K. and P.M., (2016). Microcystin contamination and potential of Microcystin production in major drinking water bodies in Sri Lanka. 21st International Forestry and Environment Symposium Proceeding. Pg 101. Manage, L.R., Gunarathna, C.P. and Manage, P.M. (2016) Risk of pharmaceutical contaminations; Cloxacillin contamination and prevalence of cloxacillin resistant bacteria in environment samples. Pharmaceutical journal of Sri lanka. 6 (1). pg 48. Mahagamage, M.G.Y.L., Pathirage, S. and P.M. (2016) Seasonal variation in the dispersion of pathogenic bacteria and some chemical parameters in surface water of the kelani river basin, Sri lanka. 3rd International Conference on Multidisciplinary Approaches Proceeding, Pg. 5. Liyanage, G.Y. and P.M. (2016) Occurrence and distribution of tetracycline resistance determinants and their pollution status in the aquaculture environment of Sri lanka. 3rd International Conference on Multidisciplinary Approaches Proceeding, Pg. 8. Wijesekara, W.A.M.A. and P.M. (2016) In vitro screening of antibacterial and antioxidant properties of freshwater cyanobacterium Lynbya sp. 3rd International Conference on Multidisciplinary Approaches Proceeding, Pg. 9. Idroos, F.S. and P.M. (2016) Removal of CI direct blue textile dye using coconut shell based and bamboo based granular activated carbon. 3rd International Conference on Multidisciplinary Approaches Proceeding, Pg. 18. Wijesinghe, M.G.K.D, Kumara, K.G.N.P., Wijesekara, W.M.A., and Manage, P.M. (2017) In vitro screening of antibacterial and antifungal activities of the fungi isolated from soil, Pharmaceutical Journal in Sri Lanka. Mahagamage, M.G.Y.L., Chinthaka S.D,M, Pathirage, S. and Manage, P.M. (2017) Effect of Catchment characteristics, Anthropological activities and Industrial discharges on Ground and surface water quality in Kelani river Basin, proceedings of the SLAYS Forum 2017. Mahagamage, M.G.Y.L. and Manage, P.M. (2017) Sociological characteristics and water management in Kelani river basin, Proceedings of the 23rd annual scientific sessions of the Sri Lanka Association for Fisheries and Aquatic Resources, pg 14. Wijesekara, W.A.M.A. and Manage. P.M. (2017) In vitro screening of antibacterial and phytochemical properties of hot water spring cyanobacterium Lynbya sp. NARA Scientific sessions , pg 38. Mahagamage, M.G.Y.L. and Manage, P.M. (2017)Water quality and microbial contamination status of Madawachchiya, Padaviya and Kebathigollewa areas in Anuradhapura District, NARA Scientific sessions, pg 45. Liyanage, G.Y. and Manage, P.M. (2017) Screening of Antibiotic Resistance Bacteria at Hospital Effluent Water in Sri Lanka. Proceeding of International Conference in Post Graduate Institute of Science, University of Peradeniya, pg 26. Mahagamage, M.G.Y.L., Pathirage, S. and Manage, P.M. (2017) Seasonal variation of pathogenic bacteria and the ground water quality of the Kelani river basin, Sri Lanka, Proceeding of the 4th International Conference on Multidisciplinary Approaches. pg 172. Ekanayake, E.M.M.S. and Manage. P.M. (2017) Removal of Textile dye (CI Direct Blue 201) by fungi as a green environmental solution, Proceeding of the 4th International Conference on Multidisciplinary Approaches. pg 163. Liyanage, G.Y., De Alwis, A. and Manage. P.M. (2017) Detection of tetracycline resistance genes in isolated bacteria from aquaculture sites in Sri Lanka, Proceeding of the 4th International Conference on Multidisciplinary Approaches. pg 162. Wijeratne P.K.D.K.B. and Manage. P.M. (2017) Accumulation status of Microcystin-LR in cultured and natural samples of Oreochromis niloticus. Proceeding of the 4th International Conference on Multidisciplinary Approaches. pg 161. Ganegoda, S., Chinthaka, S.D.M. and Manage. P.M. (2017) Method optimization to detect 2-MIB in water by GC-MS using solid phase micro extraction. Proceeding of the 4th International Conference on Multidisciplinary Approaches. pg 160. Wijewickrama G.M.M.K. and Manage. P.M. (2017) Accumulation status of MC-LR in Ipomoea aquatica Plant tissues. Proceeding of the 4th International Conference on Multidisciplinary Approaches. pg 159. Abeysiri, H.A.S.N. and Manage. P.M. (2017) Contamination of MC-LR in Thilapia collected from selected reservoirs in Anuradhapura District. Proceeding of the 4th International Conference on Multidisciplinary Approaches. pg 152. De Silva, I.U., Idroos, F.S. Manage. P.M. (2017) Occurrence of MC-LR producing toxigenic cyanobacteria along with water quality parameters in Boralesgamuwa lake. Proceeding of the 4th International Conference on Multidisciplinary Approaches. pg 34-35. Consultant for the project on “ Microbial control of Invasive Aquatic Alien Species in Irrigation System. Collabarate with Irrigation Department. National consultant for the consultancy services for experts and special technical assistance for eastern province water supply development project as algae and cyanotoxin specialist. The project was funded by JICA. Research Assistant-Upper Kotmale Hydropower Project (1993). 12.Water Quality Expert- Detection of Microcytin-LR toxin and identification of Cyanobacteria in Kondawatuwana drinking water tank in Ampara (2008-2009)- Collaboration with National Water Supplies and Drainage Board. Member- General Microbiology Society, UK.